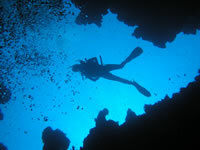 Midland Diving Equipment Ltd was established in the UK in 1958. We are a leading manufacturer of technologically-advanced high pressure cylinder valves and manifolds. In 1971 we were awarded the UK distribution of US Divers Co. of California, USA, and supplied the ‘Conshelf Supreme’ regulator to the Royal Navy. 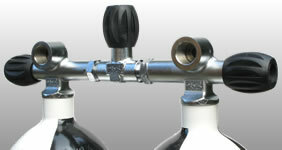 In the mid 1980s we developed the first scuba cylinder valve and modular manifold. In 1989 we formed a partnership with Aqua Lung International for sole distribution in the UK of Aqua Lung products. This successful 38-year association with the Aqua Lung group came to a conclusion at the beginning of 2010. Subsequently we formed a new business relationship with Beuchat to become the exclusive UK distributor for Beuchat products. In 2008 we celebrated our Golden Jubilee year. To mark this occasion we launched the new MDE Jubilee range of scuba diving valves, to meet the requirements of today’s discerning divers, using only the finest quality materials and meeting the latest safety standards. All valves have been fully CE EN250 certified by a notified body, and for the first time in the scuba diving industry the valves have been impact tested to ISO 10297, and thus carry the Pi mark. Midland Diving Equipment has a highly qualified technical design team with over eighty years combined technical, engineering and design experience. All of our products are known for their outstanding quality in design, materials and manufacturing.